Uncivilized + ODOD Books hauled in a pretty impressive collection of nominations for the DiNKy Awards! Six nominations in four categories! Gabrielle Bell was nominated for Best Anthology/Collection, and Best Small Press publication for Cecil and Jordan in New York. Noah Van Sciver was nominated for Best Small Press publication for One Dirty Tree. 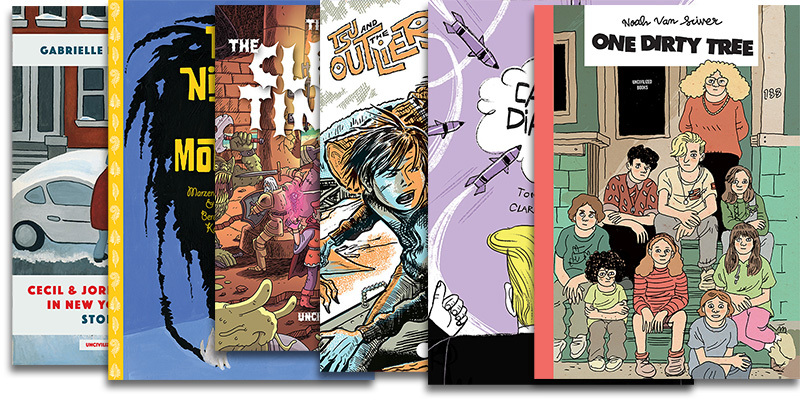 Tim Sievert was nominated for Best Small Press publication for The Clandestinauts. E Eero Johnson was nominated for Best New Kid’s publication for Tsu and the Outliers. Marzena Sowa and Berenika Kolomycka were nominated for Best New Kid’s publication for That Night, a Monster. 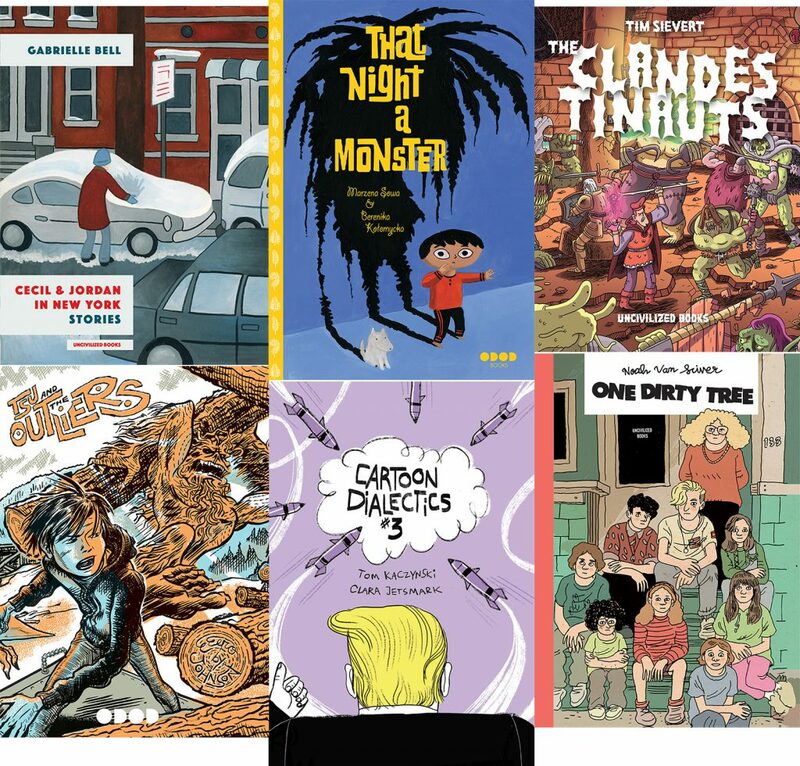 Tom Kaczynski and Clara Jetsmark were nominated for Best Mini Category publication for Cartoon Dialectics Vol. 3. CONGRATULATIONS To everyone for their nominations!